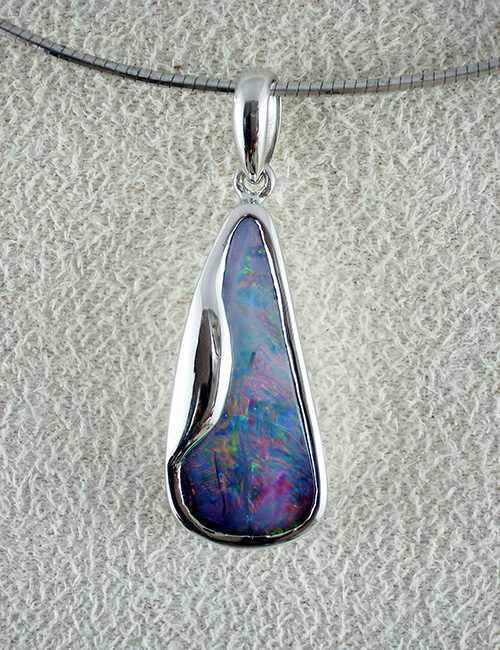 Natural boulder opal pendant with anti tarnish sterling silver. The pendant has a slash of electric blue opal through the polished chocolate brown ironstone, measuring 45mm in entire length. Solid boulder opal set with anti-tarnish sterling silver. 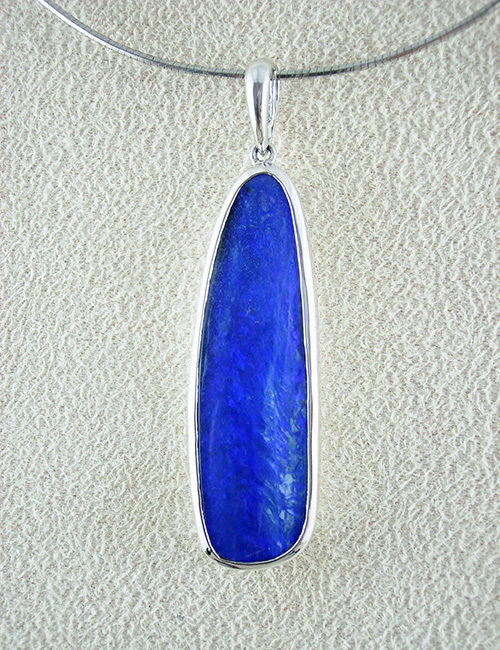 The opal sparkles with rich bright electric blue, and the pendant measures 34mm in entire length. 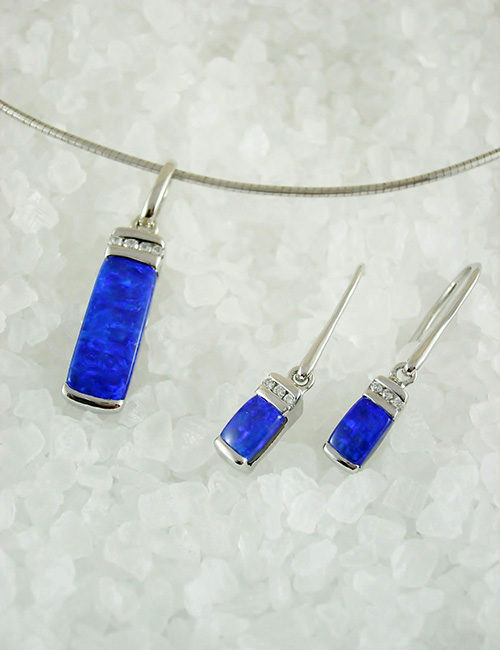 A striking bright blue solid Boulder Opal set with anti tarnish sterling silver. The pendant measures 52mm in entire length and 19mm wide. Solid boulder opal sparkling with hot pink & gold colours with a touch of green, set with anti tarnish sterling silver. The pendant measures 32mm in entire length. 11 mm at the widest point. Solid boulder opal set with anti tarnish sterling silver. The opal flashes brilliantly with bright red, blue & green in a large pattern. The pendant measures 28mm in entire length, 7mm wide.